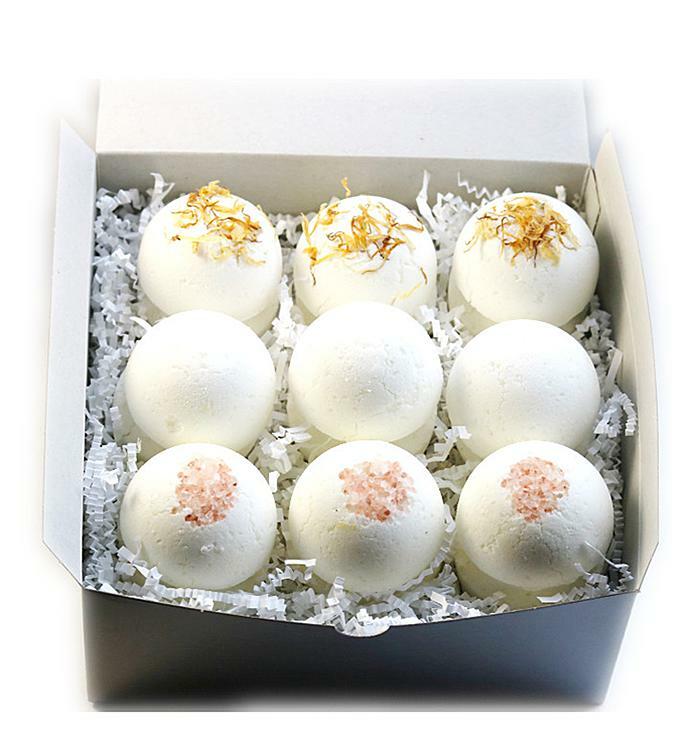 Indulge in the wonders of the Bath Bombs Gift Set with nine delightfully fizzy bath bombs. Each comprised of their own aromatherapy healing properties, these bath bombs are the perfect staple for a pamper night in. Indulge in the wonders of the Bath Bombs Gift Set.